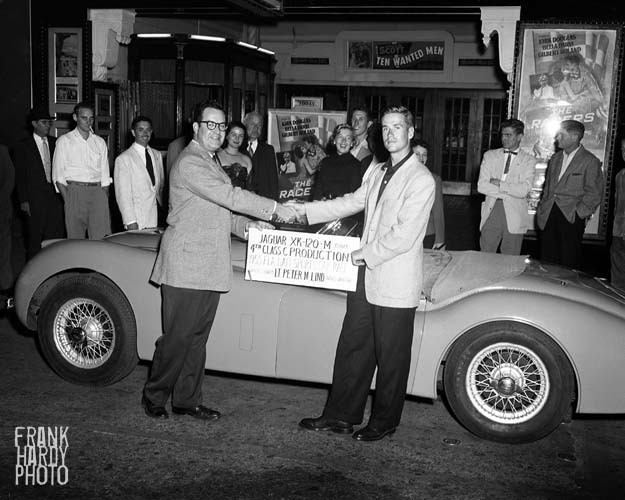 This was taken sometime in the mid 1950’s … the movie playing at the time was called ” The Racers “. Cesar Romero starred in the movie. I can not recall ever seeing it play on late night television, so that must tell you something about the movie. The Sanger management must have had some type of tie-in with a car club and had a contest. I guess my father must have gone down and photographed the winning car and it’s owner, which is pictured below. Brings back memories. 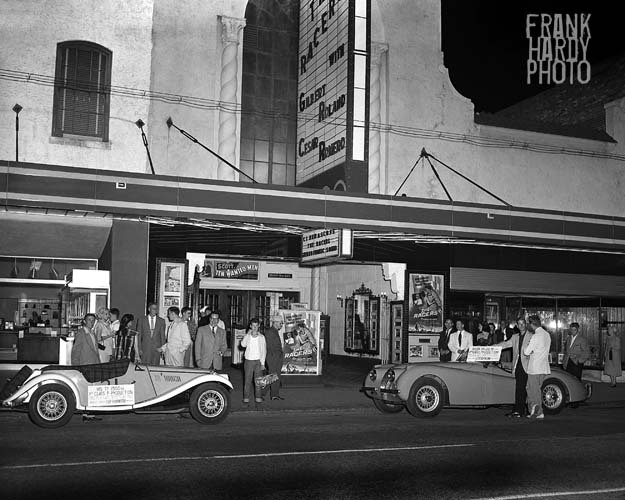 In the 50’s, my parents would take me to movies at the Saenger. In the 60’s, my sister got a job as assistant to the manager (glorified secretary) Mr. Floyd Lyle(s). I loved getting into the movies for free, so, shortly after she went back to college, I became an usher there (1962-63). We also got into the Rex theater for free since it was owned by the same company. do you know you the boy in middle is, in front of Sanger ? looks like my Dad?